Search Our Inventory / All Rugs / 4&apos; 6" x 5&apos; 9"
4&apos; 6" x 5&apos; 9"
(High-Collectible) ("Best-of-the-Best Sold in 2017") Seldom encountered, Dorasht carpets come from the lineage of Court workshops during the Safavid period. 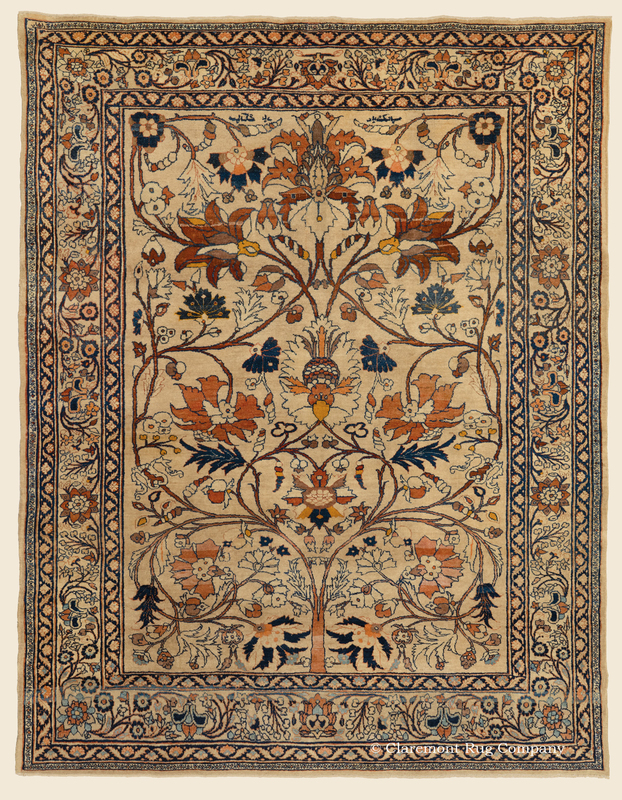 Wholly original in design and palette, this very accomplished piece recalls the crystalline drawing and elaborate floral depiction of the 16th century Golden Age of Persian Weaving. Within the well-proportioned, light toned reserve, spaciously swirling tendrils with exquisite overscale blossoms create an exquisite, enthralling garden theme, unlike any other rug style that has treated this beloved idea. The color palette is truly one-of-a-kind, reflecting expert precision in the dyeing of rare warm earth shades and a welcome abundance of saffron golds.